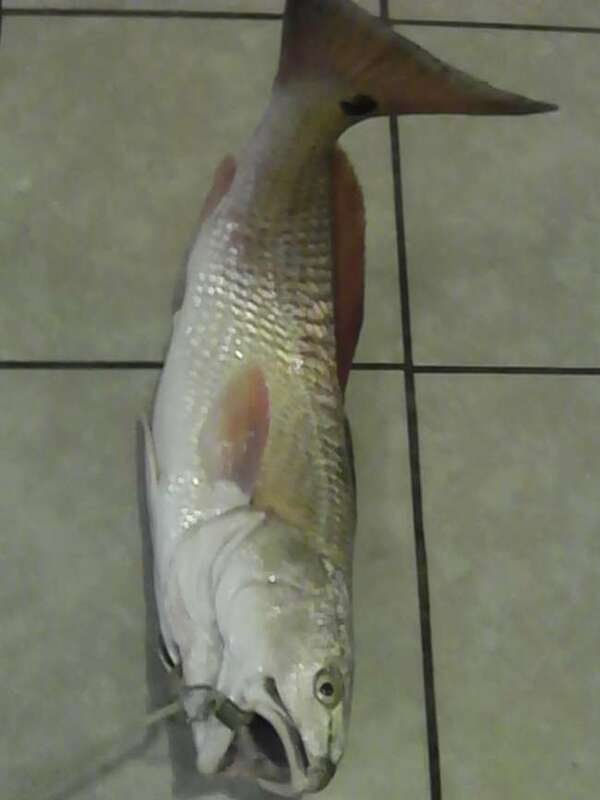 Last Monday and Tuesday, I caught reds for the first time, along with a stingray and some hardheads.I had netted some finger mullet for bait and using a rig from Sports Academy and a Shakespeare Tiger 7' rod and reel combo for 18$ from Wal-Mart with 50 lb braid and a 3 oz pyramid sinker. The reds tend to hit just before low tide. Kids were excited and riled up when I would pull one in. rrespress has not filled this section yet.